composite repair systems Archives - WichiTech Industries Inc. While many industries tend to slow down in winter, business at WichiTech is heating up! This past December, we exhibited our newest composites repair system at CAMX (the Composites and Advanced Materials Expo). 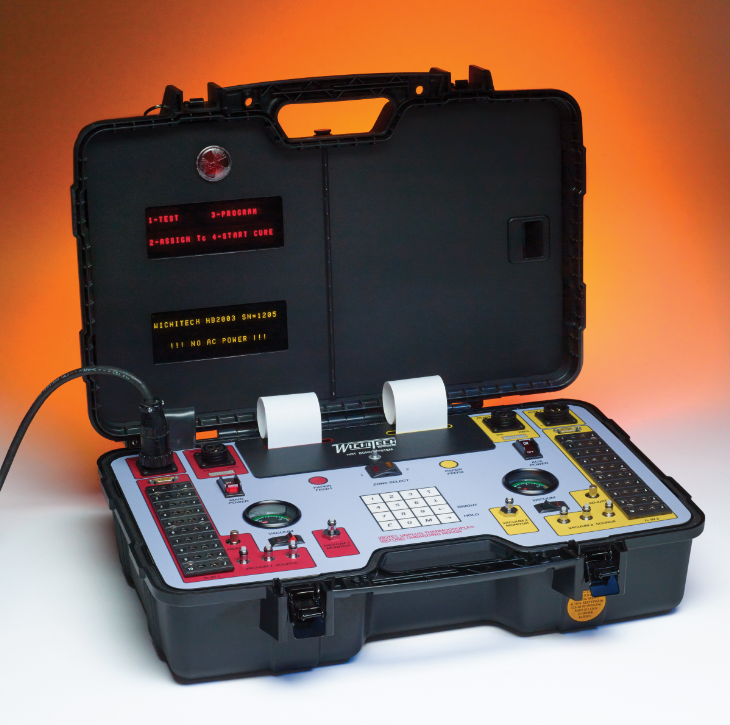 The new hot bonder product line includes the HB2003, a 20-amp dual-zone composite repair system, and the HB2003A, a 30-amp dual-zone composite repair system. These are miniature dual-zone hot bonders that feature 20 J-type thermocouples, two color-coded heating zones, run and monitor modes, mid-cure editing and lockout options, and much more. Already, our new composite repair systems have been receiving a lot of attention. In addition to our official product launch and demonstrations at CAMX, we’ve also received coverage in CompositesWorld. The industry leading trade publication has the ability to reach thousands of readers in the materials sector. Combined with the thousands of participants who attended CAMX, the new systems are getting significant exposure among professionals in the composites industry. If you’re looking for a new hot bonder composite repair system, this might be exactly what you’re looking for. Request information online to learn more about these systems and how they can benefit your operations. You can also give us a call at 1-800-776-4277 or shoot us an email at wichitech@wichitech.com. We’d be happy to discuss your application and product requirements to find the right composite repair system for you. A truly practical product can be used across a variety of fields with great results. From marine applications, to automotive production and repair, to wind energy industries, Wichitech testing and repair products are regularly used, with resounding success across many industries. Thermocouple materials such as platinum and tungsten need a welder with specific tolerances, and may often need to be attached to alloys such as aluminum and titanium. The wind energy industry is one field that needs a product like the Weld-X Spot Welder that can work with the specific lightweight materials the industry uses. In the wind energy industry, weight equals resistance, which can mean a loss of efficiency if the correct materials are not used. Lighter, stronger, and more corrosion-resistant than the standards such as steel and aluminum, composite materials that combine a high-performance fiber in a matrix material are becoming exceedingly popular in automotive manufacturing, as well as marine uses such as on off-shore oil rigs, submarines and submersibles. Many of the naval vessels of the future will utilize a great deal of composite materials, creating a lighter, faster, yet more durable and damage-resistant vessel. Repairing these systems requires advanced hot bonding systems, and our HB-1 and HB-2 Composite Repair Systems will do the job. Of course, before you can make repairs, you need to be able to find where the damage is. 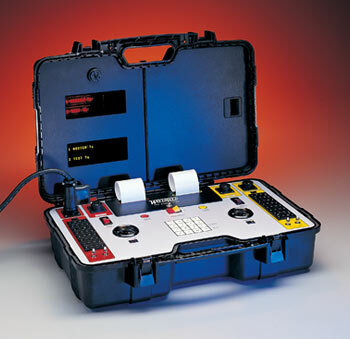 Whether you’re suspended out on t he blade of a turbine on a wind farm, working in the busy engine room of a boat, or in a crammed automotive shop, you need a portable testing unit. Our tap hammer is lightweight and reliable, meaning that you can tote it to the furthest reaches of the wind farm or deep into the bowels of dock infrastructures. Composite materials are poised to be a major part of industries and infrastructure well into the future. While they certainly have distinct advantages over standard materials, they are not infallible, and will need testing and repairs over time. At Wichitech, we are ready to help you with your composite repair needs, whether you work in the marine, automotive, or wind energy industries, or any other industries that are beginning to fall in love with the usefulness of composites. Talk to one of our staff today to see about our products and training! Repairing an aircraft that is manufactured with composites can be difficult. Some small repair shops may not be as well-versed in composite repair as some large maintenance organizations are, but advanced composites aren’t only used in a larger aircraft. A smaller aircraft and its components can also be manufactured with composite materials, so being able to repair them is of utmost importance regardless of the size of your business. Buying the equipment you need to repair composites is only the first step. It’s important to have the knowledge, skills, and hands-on training to be able to complete these complicated repairs accurately. When repairing a composite, it’s important to know that much of the damage may not be visible from the outside. When performing a “tap test,” and tapping a coin on the surface of the composite and listening for a void, you can find the exact area where the composite is damaged. You then have to cut out a portion of the composite and perform a scarf repair, sanding outward so that you can clearly see how the materials are layered. It’s imperative to learn exactly how the composite was originally constructed, or you will be unable to repair it. Only then can you replace the material and repair the damage. Reading up on composite repair is great, but there is no substitution for hands-on training and experience. Companies like ACT (Advanced Composites Training) and ABARIS TRAINING offer a multitude of composite training classes for students from a variety of sectors. With the knowledge and hands-on training afforded by attending classes, along with the necessary tools, you can assure that you will be able to complete composite repairs accurately and effectively. When it comes to composite repair systems, accuracy is of high-priority. At Wichitech, we’ve created a system that puts our customer first, and that includes high-quality construction, reliability, and top-of-the-line product performance. Since 1986, we’ve been making the composite repair equipment that aviation giants like Bell Helicopter and Boeing rely on every day. A great example of why customers come back continuously is our popular WichiTech HB-2. 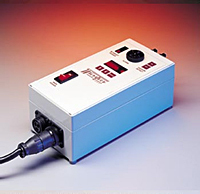 The HB-2 is the world’s most reliable hot bonder, so customers are confident that their repairs will go quickly and smoothly. While we don’t do any actual repairs, our team of experts, including our engineering specialist David Junkin, will work with your employees on how to most-effectively use our equipment. The world of composites is ever evolving, and WichiTech is constantly attending training programs to be able to offer the most up-to-date trends in technology. We don’t just service the aviation industry, the automotive and wind energy sectors also look to WichiTech for cost-effective and high quality repair equipment. In addition, our equipment is durable and reliable. In fact, we offer a unique and industry leading three-year warranty on all of our equipment. If you have any questions about how WichiTech can make your aviation, automotive, or wind-power repairs cost-effective and accurate, please contact us today. We’ll be blogging about the products, services and happenings at Wichitech on a regular basis – so take some time each month and check out our new blog!